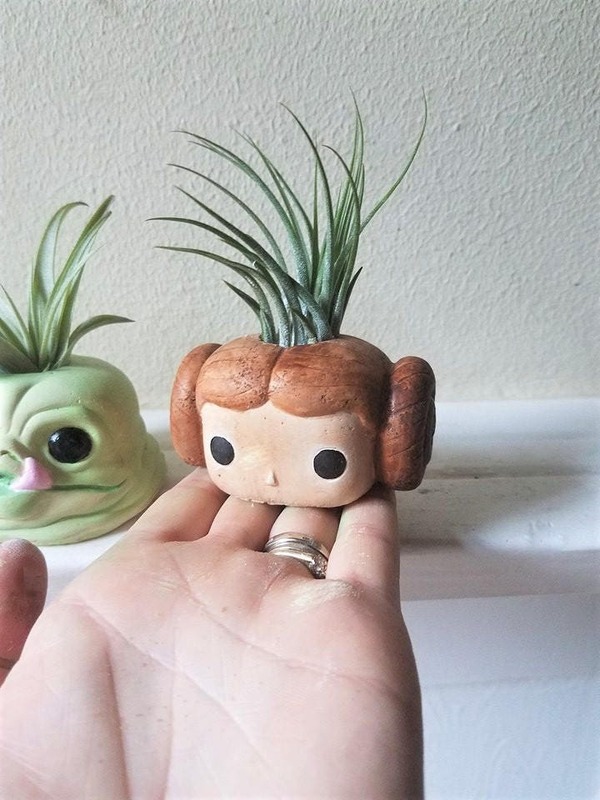 ******* MEASURES: aprox 2.5" tall x 2.5" wide Princess Leia is a bit smaller. As each color and finish is mixed in individual batches , shade may vary a bit.... some lighter some darker. 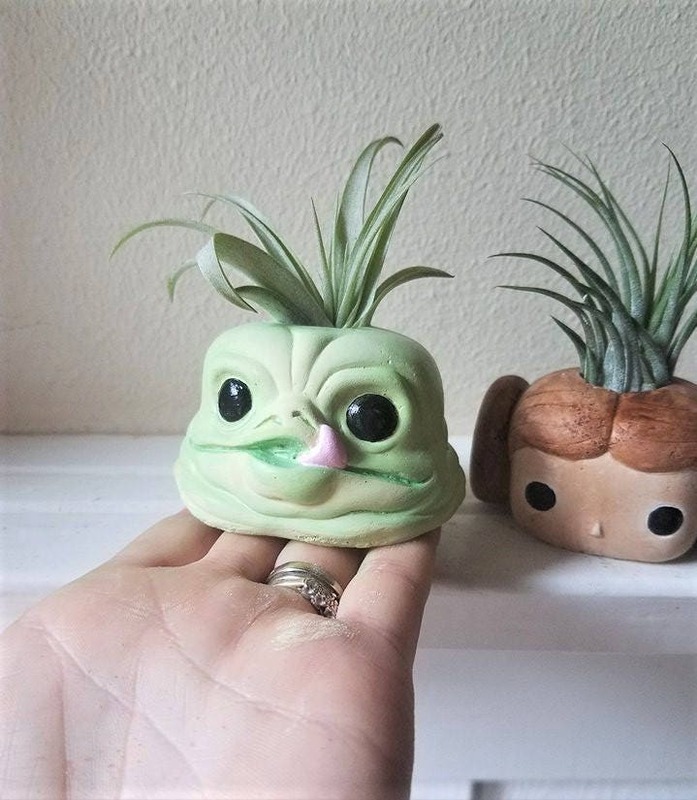 Jabba is the cutest little guy hanging out with all my other plants! 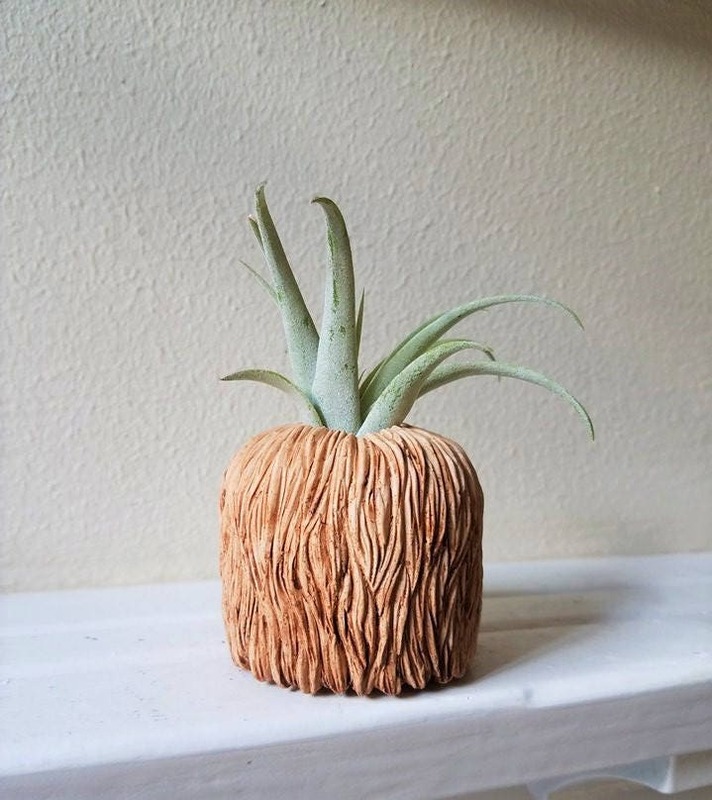 Love the planter, very well made! May the force be with you! 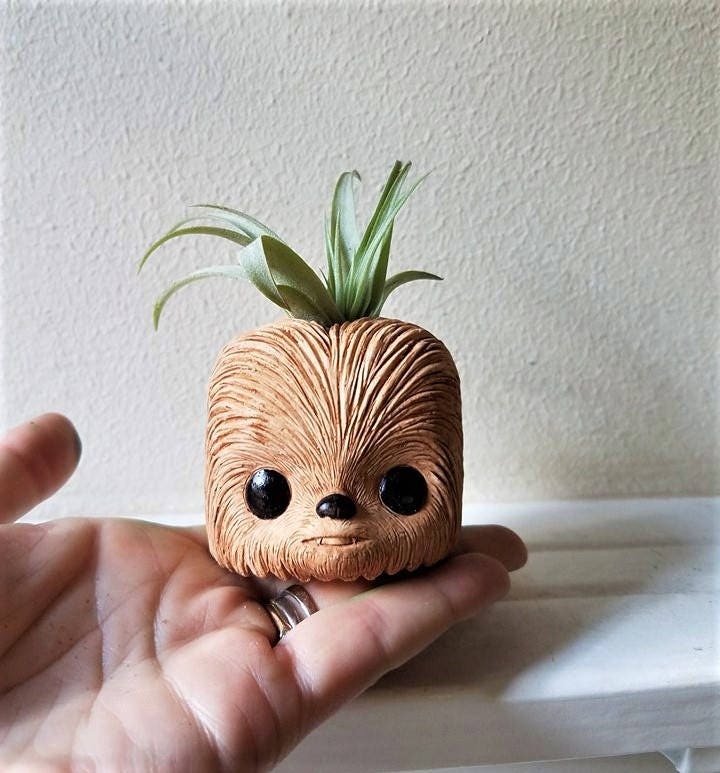 Perfect for a white elephant Christmas exchange at work! 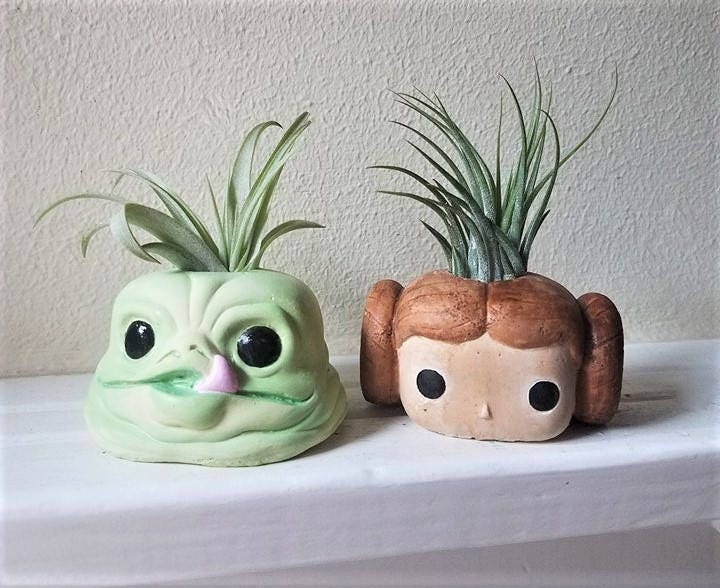 Loved the detailing on the Chewbacca and also the choice of air plant that came with this planter. Thanks! 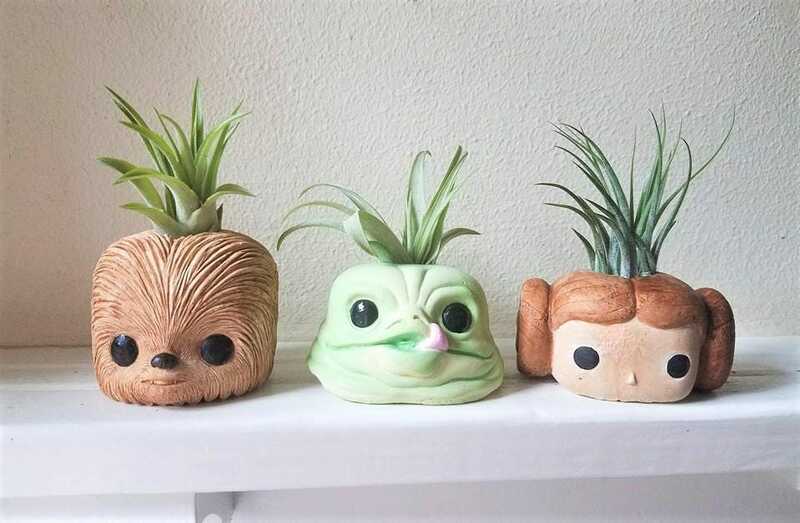 These are so cute & funny!